The outlandish stunts of even the most extreme athletes still can't compare to the exploits of a bored six-year-old on a Saturday afternoon. And the only thing more thrilling than jumping a tricycle off a makeshift ramp is watching the replay of the resulting crash again and again. So VTech has made a kid-friendly GoPro-like action cam that can be mounted to skateboards, wagons, and scooters. 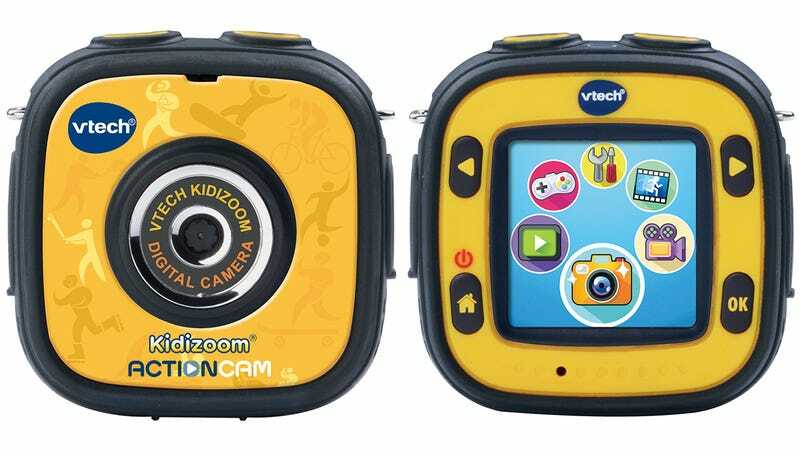 The Kidizoom Action Cam is shockproof, waterproof (with an included submersible housing), sticky finger-proof, and is designed to survive almost anything a kid can throw at it. The camera's resolution isn't known, but with a price tag of around $75 it most certainly won't be able to compete with an actual GoPro in terms of image quality—but kids won't care.